At a time where people document every single moment of their lives, it isn’t very often where we as a society are stumped by a photo. We’ve seen it all, haven’t we? These photos will have you thinking completely differently about every photo you take. 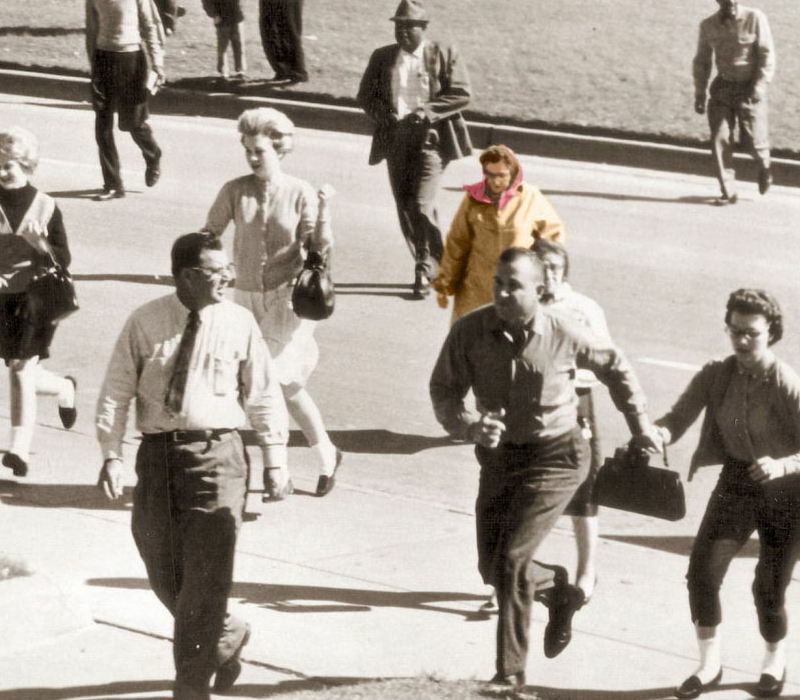 Most people have seen the infamous footage of John K Kennedy’s assassination but what about that lady that is mysteriously in most photos of the day? Somehow this little old lady managed to stump the FBI for decades and they still haven’t worked out exactly who she is. She was given the nickname the Babushka Lady since she is wearing the headscarf made famous by Russian ladies. Back in 1964 Jim Templeton was taking a photo of his young daughter when after the film was developed he noticed what appeared to be an astronaut behind his daughter. He claimed on the day there was nobody standing there and experts have proved that the film hasn’t been tampered with. Pictures have been tricking people for decades! In 1924 two sailors were cleaning out a cargo tank in the Pacific Ocean when they were overcome by gas fumes and ultimately died at sea. However, just before they perished one of the sailors snapped an image of what appeared to be two faces following the ship. This photo has stumped ghost experts for year and it is said to be one of the only ghost photos with merit. Now, these images might not be that bizarre but the story behind them definitely is. Lam was a student staying at the Cecil Hotel in Los Angeles when she died under suspicious circumstances. In the autopsy no traces of drugs or alcohol were found and they ruled her cause of death drowning. Some people believe Lam became possessed by a spirit or was overcome by a ghost… I guess we will never know. Good old Nessie is probably the most well-known mysteries, ever. First captured on film in 1933 and published in a local newspaper as “two ducks fighting” nobody has ever been able to give a definite answer as to whether or not the sea creature is real or not. One thing is for sure, it definitely doesn’t look like two ducks fighting. There isn’t a whole lot of information about this particular image but one thing is for sure – it sure is creepy! The family had just moved into a new home and promptly took a photo, once it was developed a falling body appeared. Apparently, the years following the photo the young boys pictured continued to have severe nightmares. Maybe the ghost didn’t like having house guests. Imagine showing up to your own funeral and haunting the guests. It looks like that’s exactly what Freddy Jackson did. In 1919 Jackson’s squadron was taking a photo after attending his funeral, once the film was developed his squad members recognised the eerie face behind them as none other than Jackson himself. On the Apollo 17 mission images were taken by the astronauts, although at first glance this one looks blank once the contrast is altered, everything changes. 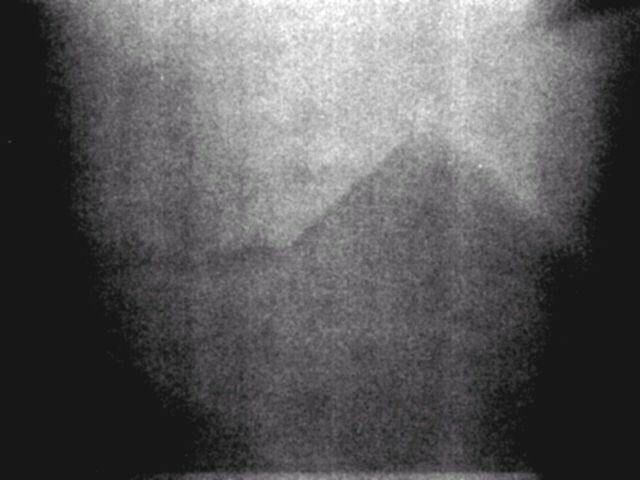 What appears to be a pyramid shaped pops up. The mystery continues to live on since nobody knows exactly what it is and since it is on the moon it’s not like we can just pop over and double check there isn’t a pyramid sitting there. Everything and anything space related gets fans in a spin, this one is no exception. 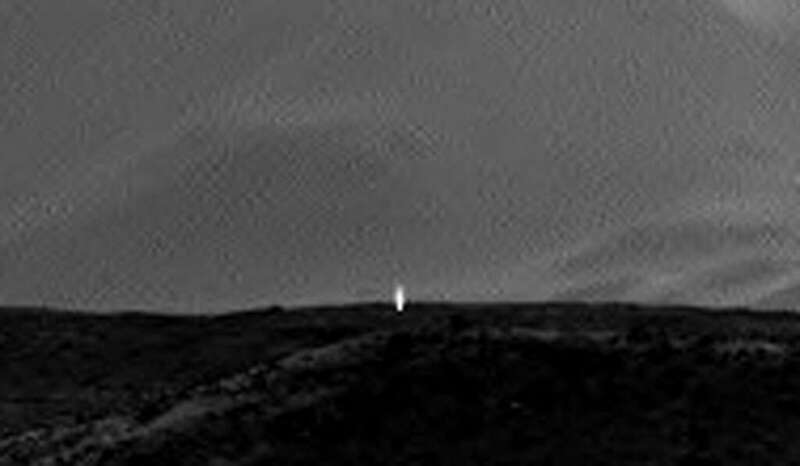 An image picked up from a NASA rover showed what appeared to be a beam of light in the distance and since apparently there is no such thing as aliens, sceptics said it could be anything from an alien space ship to something boring like light reflecting off of a rock. If the last image had you believing in ET, this one might just push into being a space nerd. For years satellite’s having been picking up images of space junk but this particular one looked more like, a space ship from Star Trek. NASA of course were quick to debunk the myths it was a 13,000 year old space ship from another galaxy and instead said it might have instead been a thermal blanket from a rocket. Make sure you SHARE this mysterious images with your friends ! 20 Mythical Creatures That Actually Exist! Viral X Files Copyright © 2019.